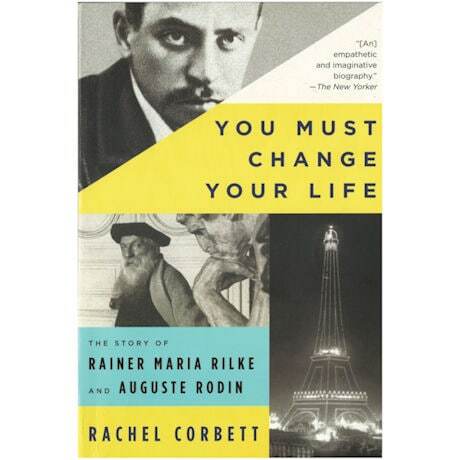 Rodin was a rational Gallic in his sixties, while Rilke was a German romantic in his twenties. Rodin was physical, sensual; Rilke metaphysical, spiritual. Rodin's work plunged into hell; Rilke's floated in the realm of angels. But I soon discovered how tightly their lives intertwined: how the artistic development of one mirrored the other and how their seemingly antithetical natures complemented each other; if Rodin was a mountain, Rilke was the mist encircling it. This charming biography probes the artistic careers and philosophies of poet Rainer Maria Rilke and sculptor Auguste Rodin, and the extraordinary friendship they shared. Revolutionary ideas and intense passions swirled around these two masters of their crafts, and many luminaries of the day—Freud, Tolstoy, and Monet, among others—drop into this story. You Must Change Your Life is a vibrant portrait of turn-of-the-twentieth-century Paris and an exhilarating exploration of creativity itself.